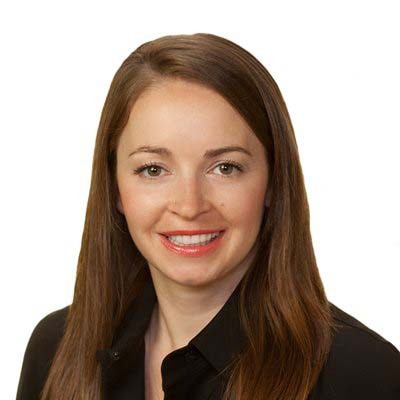 Danica Doucette-Preville is an associate in Gowling WLG's Calgary office. As a barrister and solicitor, she practises in the areas of wills and estate, international trade and white collar defence & investigations. As part of our private client services, Danica helps clients through all stages of estate planning, execution and administration. She drafts wills, enduring powers of attorney and personal directives for clients with a straightforward estate to complex family dynamics. She also has experience assisting personal representatives (executors) with administering estates, including managing the court process for applications for probate, providing advice to clients dealing with contentious issues, and advising beneficiaries on their rights, including through family maintenance and support applications and litigation. Danica also teaches Law 533: Wills and Estates to students at the Faculty of Law of the University of Calgary. In her international trade law practice, Danica advises the firm's clients on matters involving trade and investment agreements, export/import controls and sanctions as well as embargos, and all aspects of customs compliance, such as tariff classification, origin, valuation, temporary entry, drawback and duty deferral programs, and customs audits/verifications and voluntary disclosures. She also has experience advising on Canada's Special Economic Measures Act, the Canadian Free Trade Agreement and bilateral or multilateral free trade or investment agreements, such as NAFTA and CETA. As a lawyer practicing in business integrity and anti-corruption, Danica has advised on international transactions and investigations around the world and provided advice to clients on compliance with Canada's Corruption of Foreign Public Officials Act, including building robust internal compliance, corporate social responsibility and business ethics programs, and in performing internal audits or investigations to monitor ongoing compliance. Prior to joining Gowling WLG, Danica worked at Global Affairs Canada in Ottawa for over eight years. Danica speaks French fluently and has advanced Spanish language skills. She has previously been a sessional instructor for Law 510: Ethical Lawyering (Faculty of Law of the University of Calgary). 31 October 2017 Corruption risk decisions for compliance officers: Do you take contractors at their word or review their compliance protocols?